Mike Arcata has proven to be one of the more valuable cogs for the Philadelphia Phoenix in recent years. He returns this season for his third campaign as a player, but, perhaps more importantly, he’s brought stability to the franchise as the Phoenix’s General Manager. He began working with the team in 2017, tasked with running youth clinics and working with team sponsors. In 2018 he was promoted to General Manager and took on oversight of broader team operations and strategy, making 2019 his second consecutive season in the role. Arcata balances team and administration duties with a sense of ease, flowing between various duties and roles. He says the dual role gives him an understanding of both player and managerial perspectives, bridging two sides that make up the team. Arcata began playing ultimate in pick-up games with friends at Hall High in West Hartford, CT. He went on to lead his college team, UConn Grind, to the cusp of college nationals in 2013. After moving to Philadelphia in 2015 he joined in professional level play, uniquely going directly from college to professional play. He made his way to the Phoenix roster in 2017. Arcata is one of the main cutters on the Phoenix offense and has the ability to sky even the most proficient players in the air, making him an integral player on the field. He finished last season as one of Philadelphia’s top performers; coming in second on the team in goals (32) and blocks (12) while dishing out 37 assists, ranking third on the team. Arcata’s devotion to ultimate is boundless, with a real love and passion for the sport and future growth. 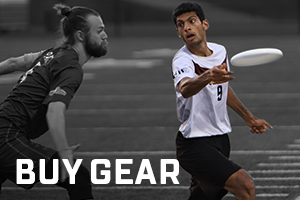 Though his commitment to the Phoenix started as a player, team management has become a way to serve his goal of furthering ultimate beyond playing on the field. He is able to introduce ultimate to new audiences, as well as create experiences for young players and fans. As he says, “There is no other career I would rather pursue.” In addition to his roles with the Phoenix, Arcata coaches Drexel University’s ultimate team, Spitfire, and runs several ultimate clinics for youths in and around the Philadelphia area throughout the year. The Phoenix host the New York Empire on Sat, April 27 in their 2019 home opener. Tickets and season packages are available here.